Shadows of the past: the tracks of the old Ghan railway disappear into the ochre sands of Oodnadatta on the edge of the Simpson Desert. It seems unlikely that a place called South Australia held jurisdiction all the way to the northern coastline, yet that was the case for 50 odd years – and calls are growing to reignite the almost-forgotten dream of a central Australian state. It was 1911 when South Australia relinquished control of the Northern Territory, but in 2015 a bold pitch has been made to reunite the two and see if things can’t work out better this time round. Committee for Adelaide board member Ian Smith yesterday outlined the case for the formation of the state of Central Australia. Smith, also on the NT Government’s economic development panel and the partner at lobbying firm Bespoke Approach, said the arrangement could be a boon to SA’s sluggish economy and argued that the two regions were already tightly connected. “North to south trade routes are integrated across road, rail and even air,” he wrote in a piece for The Australian newspaper. “A gas pipeline utilising the NT’s untapped resources linking through the Cooper Basin and exporting to the east is under active consideration. “Corporate Australia treats the two places as one, with the NT-SA link common on thousands of business cards around the nation. Smith made the appeal after Prime Minister Tony Abbott and all state and territory leaders backed a plan presented by NT Chief Minister Adam Giles at last week’s COAG meeting for the Territory to become a state in 2018. Giles welcomed Smith’s contribution to the debate but indicated it would be unlikely to go anywhere. “I think Territorians like being Territorians … they will probably throw the idea out immediately,” he said. South Australian Premier Jay Weatherill dismissed the idea of a merger but promoted more co-operation between the two. “Indeed, last time we got together we signed an MOU between our jurisdictions and we’ll be meeting again in Alice Springs to see how we can build on that,” he said. Prominent South Australian educator Jack Cross, author of the award-winning historical bookGreat Central State, told InDaily there was simmering political interest in the idea, at least on the South Australian side. He said he’d given a talk on the topic to more than a dozen members of State Parliament in 2013. “The opposition would come from the Northern Territory – it values its independence very much,” he said. The NT is currently enduring budgetary difficulties and a chaotic political climate, despite a roaring economy supercharged by the massive Ichthys offshore LNG project. The top end’s unemployment rate sits at just 4.5 per cent, while South Australia’s has shot above 8 per cent. A further contrast lies in demographics, with the NT featuring one of Australia’s youngest populations, and SA one of the oldest. 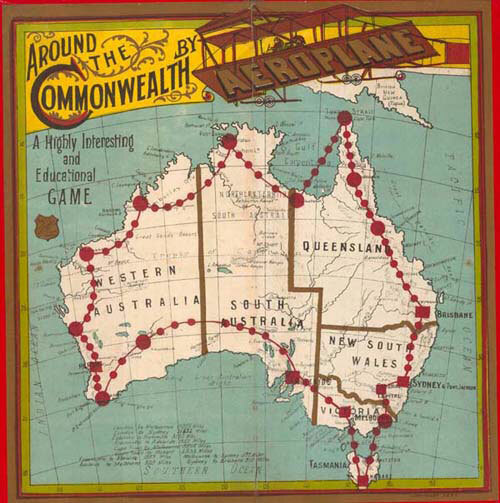 Cross noted that the two regions continued a special relationship well after the collapse of the original central Australian dream, pointing to telegraph, road and rail projects that interlinked the two. He warned however that the first attempt at a central state could be instructive for those hoping a union with the north could cure SA’s economic ills. “[South Australia] imagined with the wet tropical conditions, that the north would be incredibly productive,” he said. Charles Darwin University legal academic Ken Parish, a former member of the NT Legislative Assembly, said SA shouldn’t imagine it could cash in on the NT’s resources boom. “We don’t even see that money, it just goes offshore,” he told InDaily. He agreed with Cross that the top end shared a special bond with its southern neighbour, saying that more South Australians moved to the NT than from any other state, and that many SA businesses followed them up here. On the idea of actually unifying the two, Parish was circumspect but would not rule it out completely. “Crazier things have happened,” he said.